This month, the NNA’s Healthcare Professionals Section covered topics such as powers of attorney, spotting signs of dementia and other issues. To deliver this level of industry-specific information to Notaries, the NNA has developed a distinguished Advisory Panel for each of its six Professional Sections. In this Advisor Spotlight, we introduce you to healthcare professional Carol Salter. 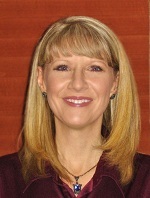 Carol Salter is the Contracts Coordinator at McKee Medical Center in Loveland, Colorado, where she has been since 1995. She is responsible for the Notaries Public at her facility as well as the development and maintenance of the online Notary education for her hospital system, Banner Health. Carol has worked with the Colorado Secretary of State’s office in testifying before a state government committee which resulted in recent positive changes in Colorado Notary law. In 2005, she was recognized as the NNA’s National Notary of the Year.